Sanitary and Purified, harmless, No allergy. 4. Medical wipes, Medical Guaze. 6. Mop Towels, Household wipe cloth. 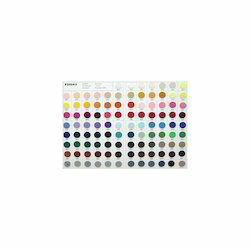 Width 35-36", 58-60", 44-45", 108", 72"
100% Polyester Fashion Color Felts are available in more than 100 colors. 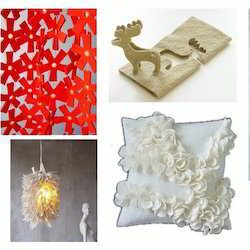 Widely used in home textiles, garments, handicrafts, toys, etc. 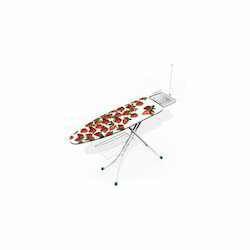 Width 58-60", 120 Inches, 108", 72"
Ginni Spectra Pvt. Ltd was formed in 1992 under the leadership of Kishan Poddar,Jaipur. 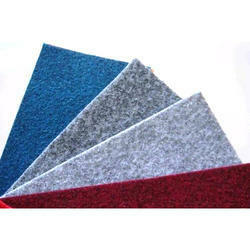 We are one of the leading manufacturers of Polyester felt in India. 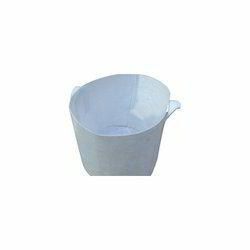 Another feather was added in the cap with Ginni Non Woven With which we entered Cotton manufacturing in a big way. Ginni Non Woven was formed in 1998. Ginni Spectra Pvt. Ltd. being a family firm, the general operations of the firm are carried out by Mr. Nitin Poddar being a MBA, himself by qualification, is managing the business in the most professional manner so that Ginni Spectra can be taken to new heights. We are manufacturers of Non woven fabrics which are generally made of polyester, polypropylene, viscose other man made fibers. These non woven fabrics are generally used for the purpose of packing, padding, insulation and wiping purposes. 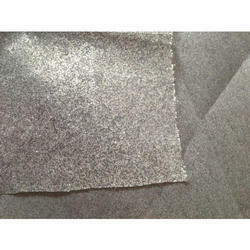 Shoes lining fabrics ,hat lining ,bag lining , Suit shoulder pad ,garment lining laminated layer material ,leather lining fabrics as basing cloth for PVC and PU. High strength and good extend strength; breaking strength complies with the requirements of Synthetic Leather. Geotextile is a kind of new building Materials, The raw material is polyester, polypropylene. According to the manufacturing methods are divided into: woven Geotextile and non-woven Geotextile two Types. General engineering mainly use the non-woven Geotextile. 2. High puncture and tear resistance, optimum Elongation. 5. UV (Ultra Violet) Stabilized. 6. The microbial resistance is good on microbe, high mothproof effect. .
Our Needle Punch felts are getting widely used in making Planting Basket which is made out of calendered nonwoven fleece. It is widely used to plant trees and flowers . 1. It is with strong strength to hold the soil. 2. 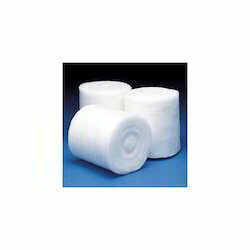 Great air permeability and superior water retention are two important characters of this non woven product. 3. It is durable with excellent performance against changeable weather. 4. Environmental friendly, no emittion of harmful substance and all packaging is recycled. 5. Various sizes are available. White, Black, Grey, Green, Red, Blue. 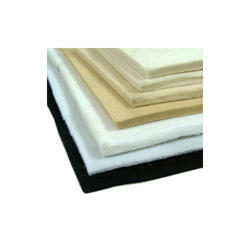 Ink Pad Felts are made with blend of Polyester Viscose Fibre. Absorbs Ink properly and stays wet always. 3. Can adapt to the uneven at the grass-roots level, can resist the construction external force damage, creep, have under long-term load can still keep the original features. Product Details: Width 3 Meters Color White Pattern Plain Use Garments home Furnishing Ginni Spectra manufactures non woven based cleaning cloths/ paper. 100% polyester blend. Available in all size, these wipers are white in color and are widely used for ISO Class 6 or higher clean rooms. Our high quality two-sided under-collar Needle Punch Felt material is made of Polyester and Viscose Fiber and in its product group offers different types of articles, adapted to the needs of the customer. Widely used in all suits, blazers and Jackets. Made of polyester or any desired blends. Different finishes, coatings calanderings are also available. Type polyester. Weight Ranges from 30 gsm to 1000 gsm. Finish Types include Soft (without chemical), Stiff (with chemical) Applications include Patch work on garment, shoulder pads, filtration of oil air bags/caps Geo Textile - Industrial use/Construction Use etc. We are engaged in offering our clients an attractive range of Quilt Needle Punch Fabric. The offered fabric is woven using qualitative threads and yarns as per the existing market trends. This fabric is widely used for designing quilts in number and cushions in different textile industries. Also, we provide this range at market leading prices and in safe packaging options to prevent it from dust and water while transit. With the years of experience and vast knowledge, we are involved in dealing a wide range of Needle Punched Non Woven Fabric. No chemicals are being used for the bonding of this non woven fabric, thus they are free from impurities. Our high quality two-sided under-collar Needle Punch Felt material is made of Polyester and Viscose Fibre and in its product group offers different types of articles, adapted to the needs of the customer. 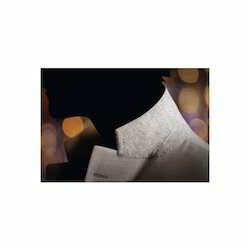 Widely used in all suits, balzers and Jackets. 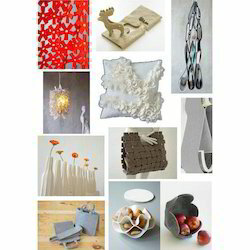 Our Needle Punch felts are widely used for decorative purposes. We are the manufacturer and exporter of orthopedic cast padding, under cast padding, made by 100% natural viscose fiber. Orthopedic Cast Padding is used as support material for surgery and lining of Plaster Of Paris Bandage. The offered pad is designed using finest quality basic material and modern technology in complete compliance with international quality standards by our vendors. 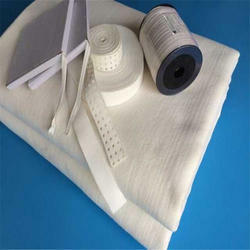 - Being made from natural fibre the bandage being made is hypoallergenic. 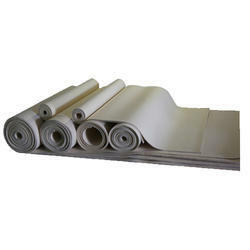 Carpets, Felts, Filters, Automobile Carpets, Automobile Roof liners / Head Liners etc. We can supply the fabrics in different thickness and in different Width Upto 3.5 mtrs. Ginni Spectra manufactures non woven based cleaning cloths/ paper. 100% polyester blend. Available in all size, these wipers are white in color and are widely used for ISO Class 6 or higher clean rooms. 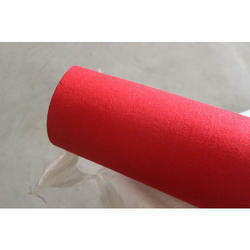 - Three non-woven fabric: PP non-woven, filter and needle punched. 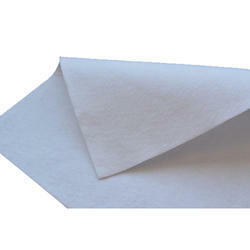 - Four non-woven fabric: Pp non-woven, carbon, filter and needle puched. - Made with nonpoisonous, non-allergic and non-simulating materials, low breathing resistance with high filtration efficiency. 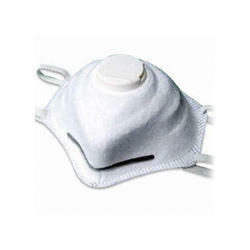 - Filtering and adsorbing harmful industrial dust, it can prevent silicosis. - Adjustable contoured aluminum nosepiece and a soft inner foam nose cushion help to press close to face and increase worker confort. - Space structure, so the body has more breathing space. - With a alexible band: fixed easily, more comfortable and durable. - Maintenance-free, hygienic, clean, environment friendly. It's very convenient and practical. We manufacture a wide range of shapes of Needle Punch Padding and help our esteemed customers in deciphering the drawings received from their respective designers and make our die moulds accordingly. PET Geosynthetic Geotextile Fabric is a filament nonwoven needle punched polyester paving Geotextile, which provides stress relief, Water proofing and reduces reflective cracking functions in new and existing paved roads. 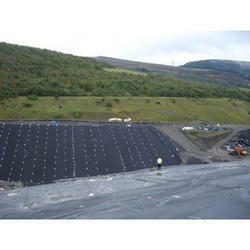 Geotextile provide waterproofing and stress relief of the pavement structure. 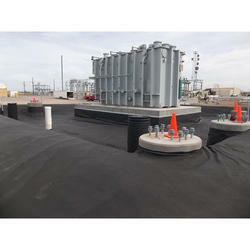 The high melt temperature of Polyester (PET) ensures that the Geotextile properties are not affected by the application of hot bitumen or asphalt. Owing to our extensive years of industry experience and profound market understanding, we are providing a wide gamut of Needle Punched Non Woven Fabric. The offered fabric is uniquely processed in observance with industry quality standards using best quality raw material and the advanced technology. We offer the entire array in varied finishes and specifications, in conformity with details specified by clients. Furthermore, we provide our valued clients with the entire array at market leading prices. Acknowledged as the prominent manufacturers and suppliers in the industry, we offer high quality Needle Punch Fabric. Our range of this Needle Punch comprise of Soft, Hard thickness can be controlled as per the buyer requirement. In addition, these can be availed at the nominal rates by the clients. Soft Needle Punch: Usually consumed as intermediate product for Shoulder Pads manufacturers and other home furnishing manufacturers. Hard Needle Punch: Usually consumed by Mattress manufacturers. 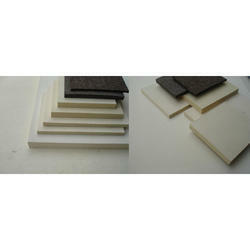 Our Felts are widely used in Iron Board Covers. 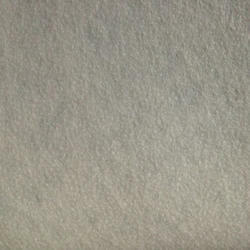 Excellent Loft and Fire Retardant Felts are Available. 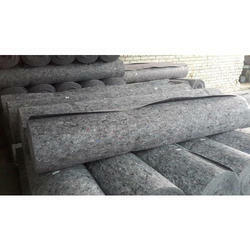 We also give felts in cut sizes as per buyers requirements. Currently we are supplying to buyers like: Walmart, Gimi, etc. 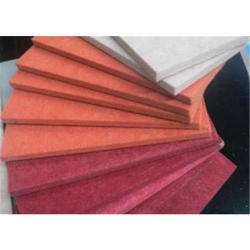 We are providing to our valuable customers a wide range of Fashion Color Felts. Our new range of products now includes Color Felts with reliable fast and durable (bleed free) colours. This is highly durable and compatible in nature.